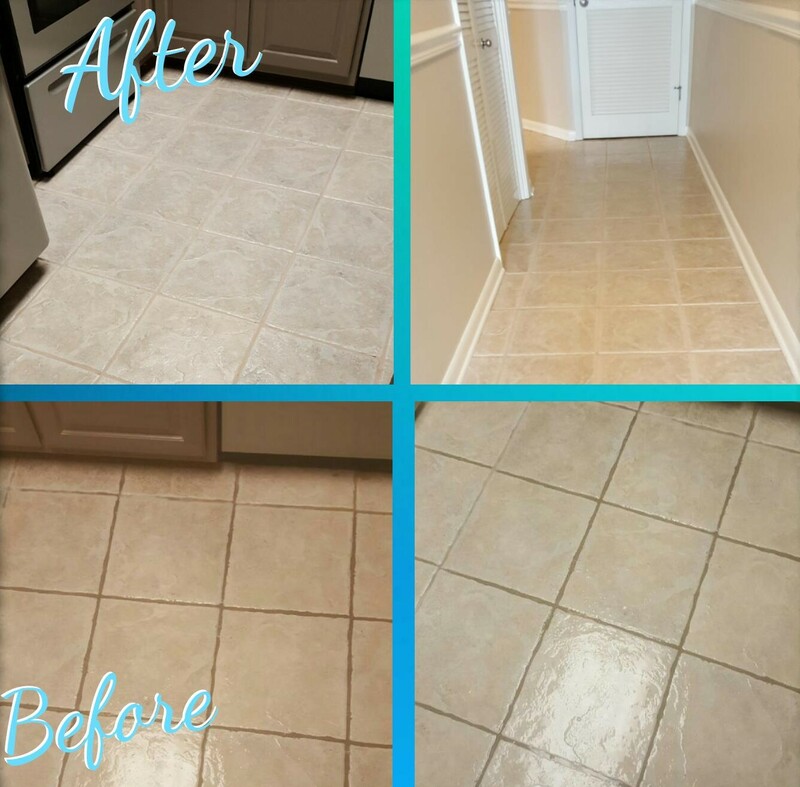 The Best Tile and Grout Cleaners in Mobile, AL! My mother-in-law’s kitchen has beige tile and beige grout. Her kitchen is a little more than ten years old. I know, I know, I wish I had a kitchen that new. But, she enjoys experimenting with all different types of cooking. That means a lot of spices (paprika, turmeric, cumin, etc…). She also isn’t the chef in the kitchen. How Is This Story Related to Tile and Grout Cleaning? As I'm re-reading that first paragraph, I kind of hope that she doesn’t read this. No one send her this link, okay? Thanks. I appreciate your help. But why bring her up? Not just to brag about her cooking (which I love – it’s awesome). But mostly to point out that all those spices don’t usually work well with beige grout. It’s really the second reason that’s more relevant to this particular web page. She called me asking if I knew anyone who could re-color her grout. Lots of red, yellow and orange stains because of her existential cooking experiences. I wanted to try cleaning it first. Could I Clean Grout to Look New? This was a few years ago and I hadn’t professionally cleaned grout before. Like most things the first time we try them, it didn’t go perfectly on the first attempt. But, after a few tries and some new equipment, that grout looked like new! Check out that before and after shot. Now, that isn’t my mother-in-law’s kitchen because I wasn’t cleaning tile and grout professionally then (just as a favor, you know how it is with the mother-in-law). That’s a more recent customer that had a similar formerly beige, now stained grout issue. I’m not sure if that customer had a similar fascination with trying new spices in the kitchen on a regular basis, but it doesn’t matter. In fact, right now go look at your kitchen tile. If you have a tile floor and beige grout, the grout is probably not as clean as it can be. It looks a little dingy, right? If it doesn’t then either it’s brand-new or I was there recently to clean it! I was born and raised in Mobile, AL (just like my wife, Lesleigh). It can be hard to toot my own horn, you know? Raised with that whole southern humility aspect. But as I’ve heard it said before, if you don’t toot your own horn, there ain’t any music. Here I am. Tooting that horn. No one in Mobile, AL will clean your tile and grout better than I will. I got turmeric stains out of grout for free. Now keep in mind that was my mother-in-law’s kitchen and I won’t get them out of your kitchen for free. But! I will still get them out. I got my start cleaning carpets and had to think long and hard about adding tile and grout cleaning to my services because I knew it had to be the best to live up to the reputation I’ve built for myself. But it was really my mother-in-law who convinced me to move forward with this. Thanks! Okay now perhaps you can tell her about this webpage. Once I see the whole story it’s quite nice, and doesn’t focus on her kitchen antics. Easy and short point. Call me today and I can make your tile and grout look like new again. Nurses touch cleaned all my carpet and ceramic tile.... did a great job. Professional, efficient and knowledgeable. My carpets look like new!! !Thank you so much!! !